Gamma and BT can ensure you receive the best telecoms solution and support available on the market. We are a Samsung Platinum Reseller Partner with specialist accreditations in a number of sectors and industries. Our Samsung qualified sales, engineering and support teams are trained to the highest standards to aid the full maintenance and installation of the complete range of Samsung telephone systems from the industry leading OfficeServ to the latest Samsung Communication Manager Compact (SCMC). Whether you work on the move, are a small to medium sized business, home worker or a large multi office organisation. 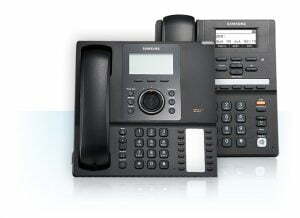 Our business telephone systems can help promote flexible working as well as improve productivity for your business. With a range of small business telephone systems to larger on premise, VoIP and hosted solutions, we can provide your business with the latest state of the art telephony equipment, which will provide improved flexibility for your workforce as well as minimise costs. It’s a reliable and proven way to improve operational efficiency and your brand image. As well as great functionality for your business, we also have a wide range of accessories and bolt-ons to ensure you get the most out of your system.